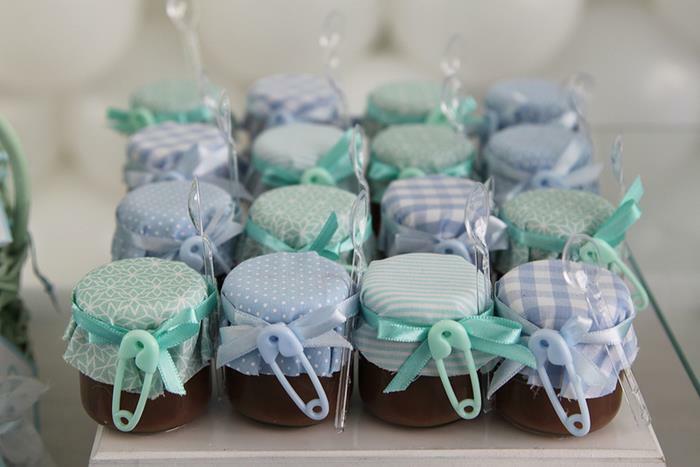 When guests attend a baby shower, they do expect to receive a baby shower favor. 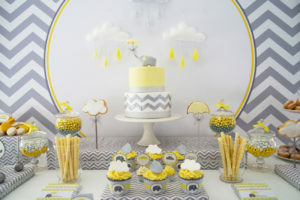 It’s simply part of the ritual that makes a baby shower and it should be included in your baby shower planning. 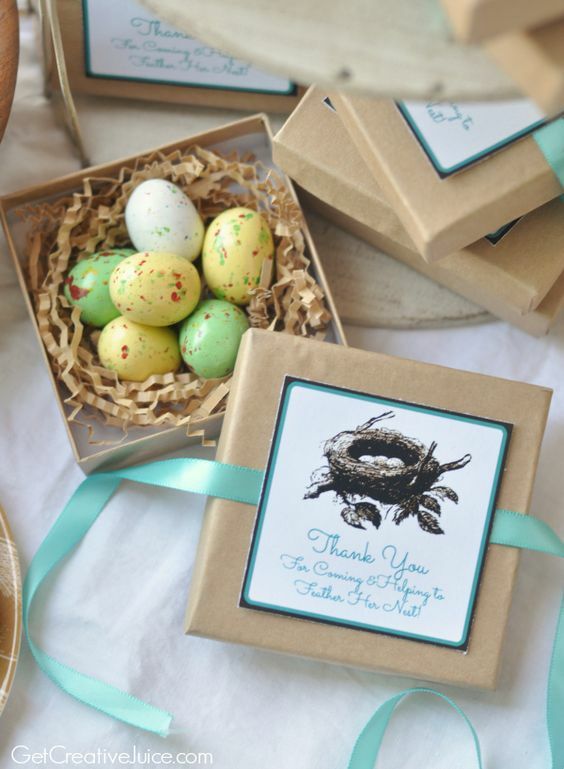 The trick to picking the best baby shower favors is to get something that people will appreciate. Pick something that people will love AND use. So often, baby shower favors get forgotten in the car when the guest gets home or simply trashed. 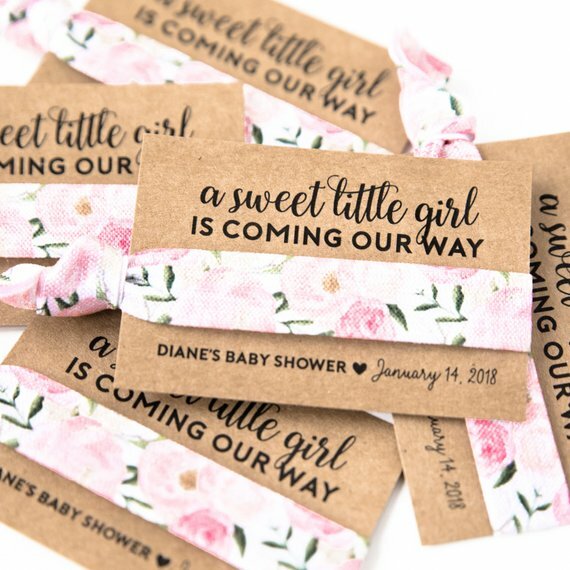 By picking any of the baby shower favor ideas below, you are practically guaranteed that this won’t happen because everything in this extensive, comprehensive list of shower favors, are practical and appreciated by most. 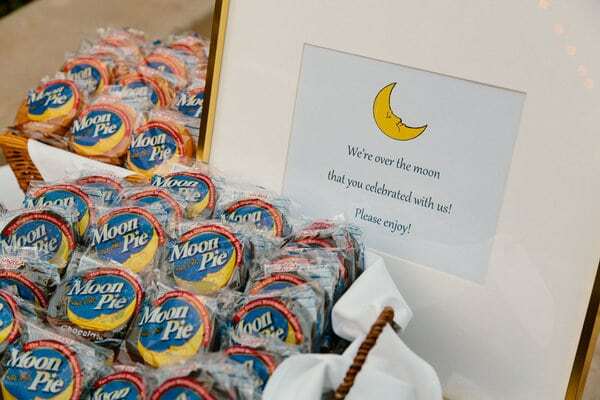 These favors are also more focused on the guests, rather than the mother/ baby. 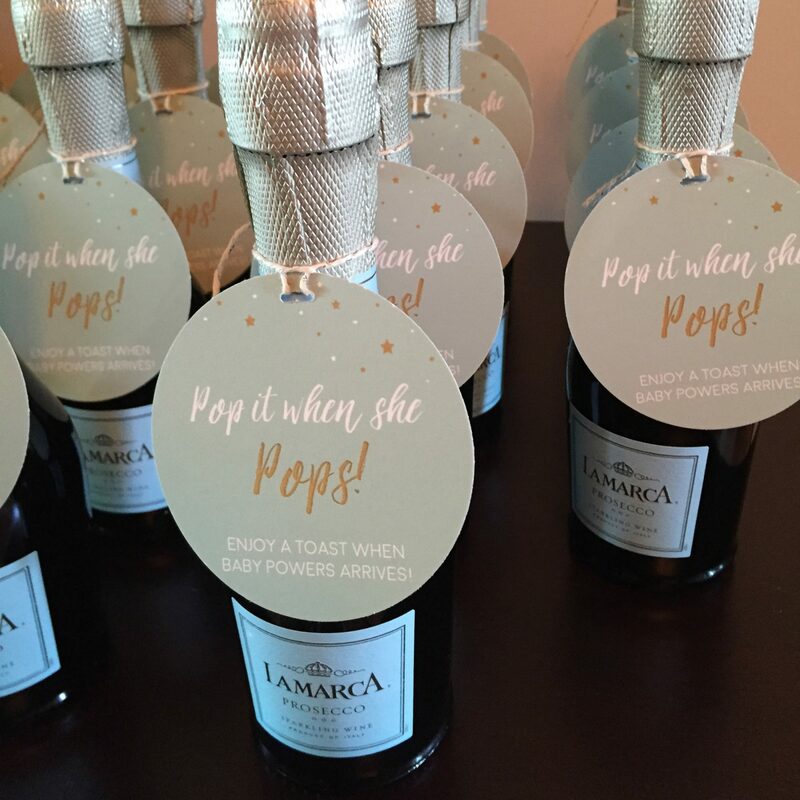 Pick a party favor that mimics your baby shower theme. This is not compulsory but it’s cute and people will notice. 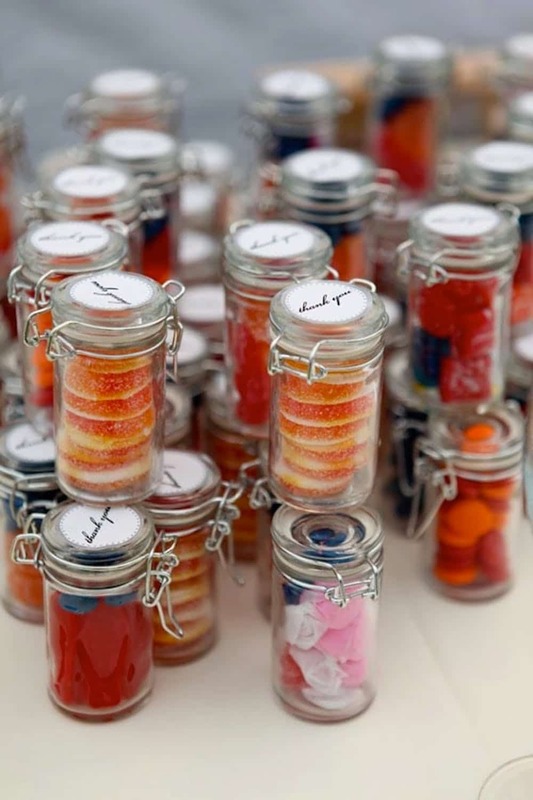 Do keep the interests of your guests in mind when selecting a baby shower favor. If you are on a budget – do not fret. 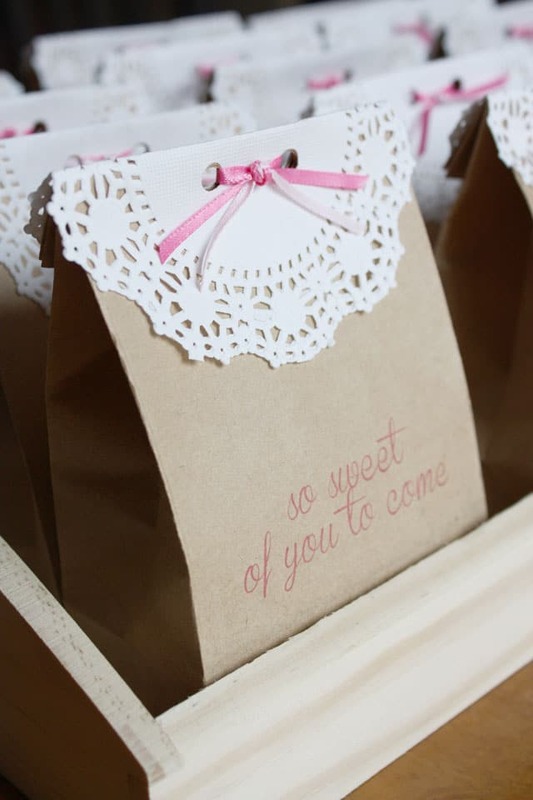 Baby shower favors do not have to be extravagant. 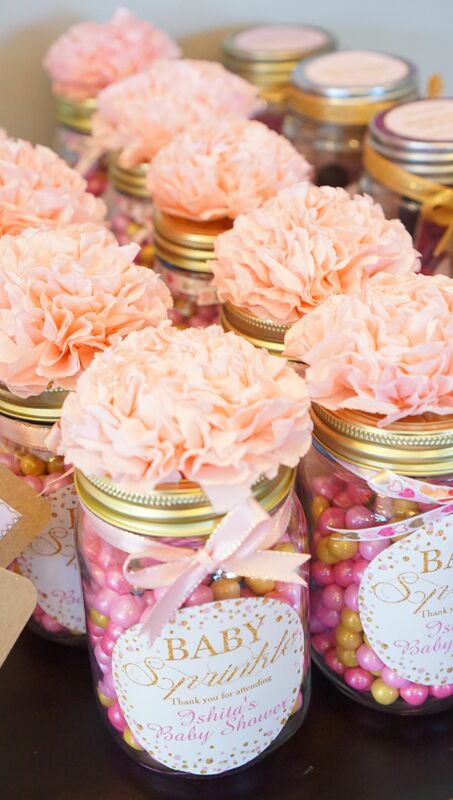 You can easily get cheap baby shower favors that are also beautiful and useful. 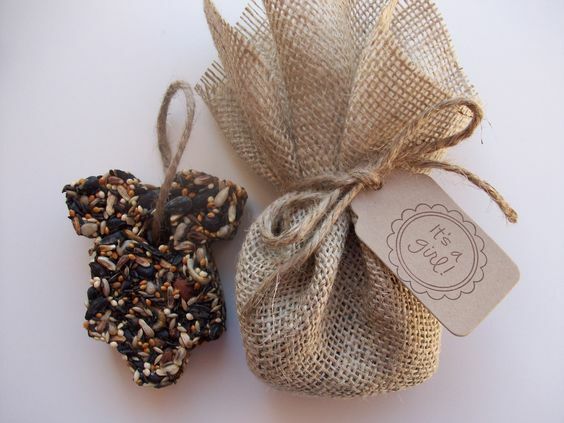 Everything on this list can be considered as homemade baby shower favors. 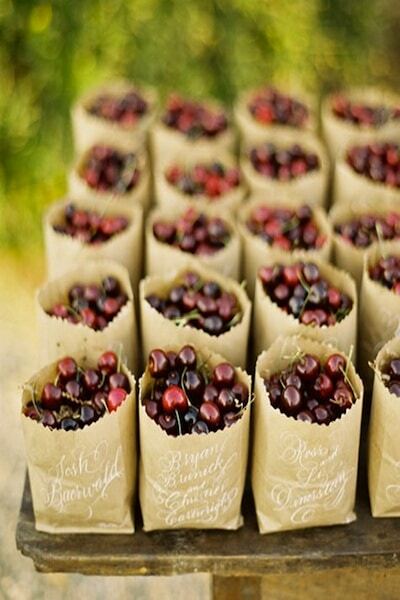 When it comes to baby shower favor ideas, can it get any easier than fresh fruit? All you need is the fresh fruit and the containers! You can do any fruit you like or whatever is in season. You could also do a variety of fruits. 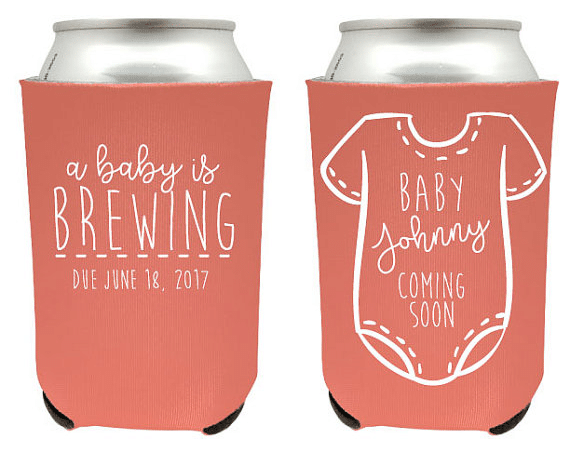 Looking for a “unique baby shower favor?” This is it. 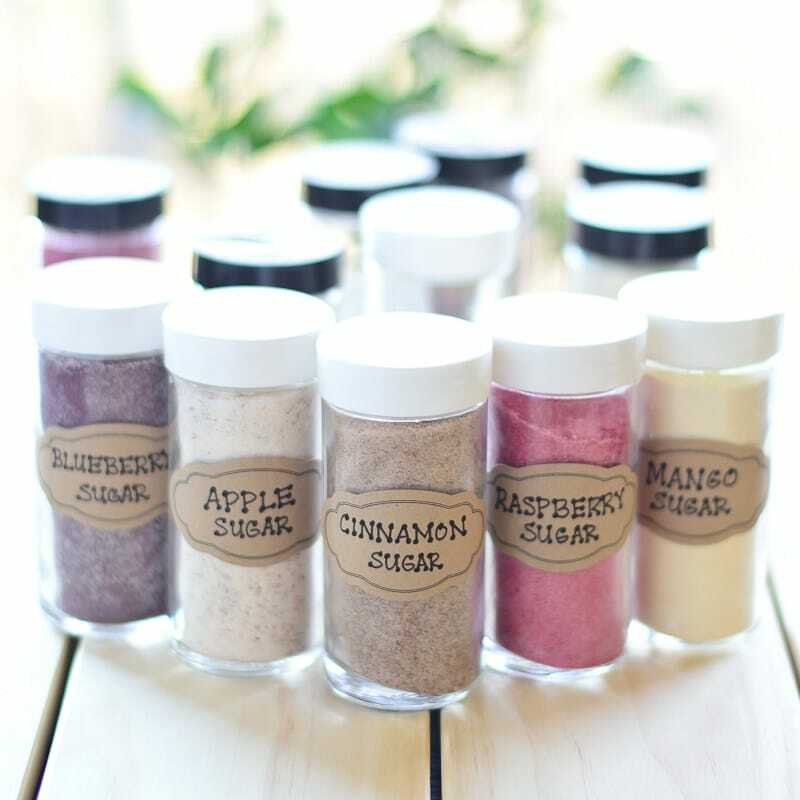 Flavored sugars are relatively easy to make, too. Here is the complete recipe. If not sugar, how about some flavored salts? 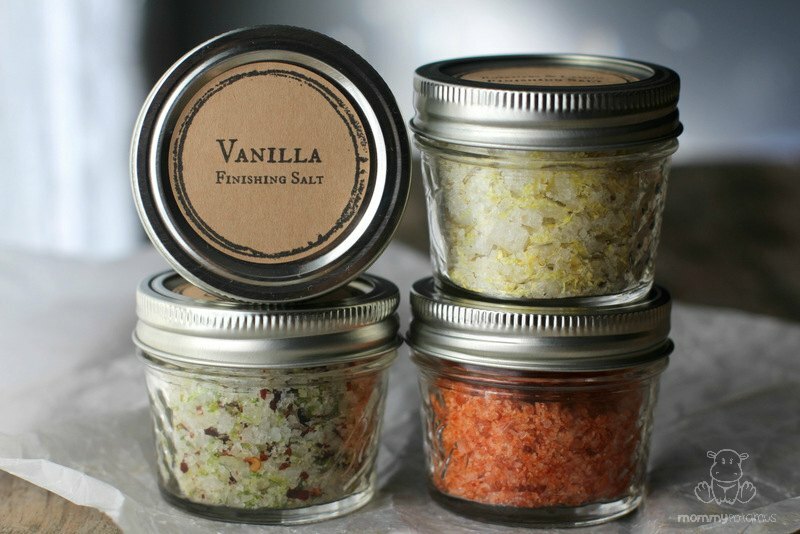 Click here for the complete recipes for chili lime salt, vanilla salt, sriracha salt and rosemary lemon salt. 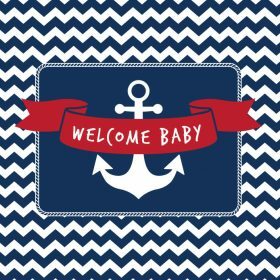 Having a fall baby shower? Candy apples might just be perfect. 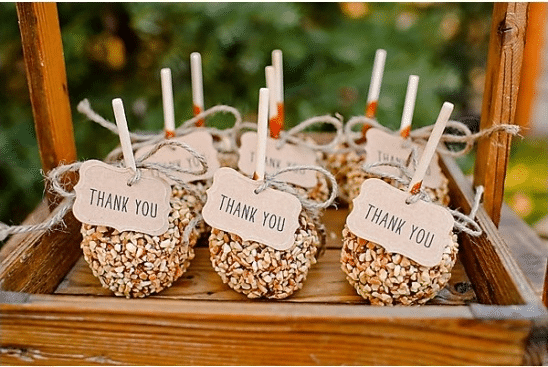 You could make them by following the traditional candy apple recipe or add nuts like the image above. Either way, just add a thank you tag, and you’re set. a personalized tag, and the popcorn. The added accent is cute but totally optional.
. 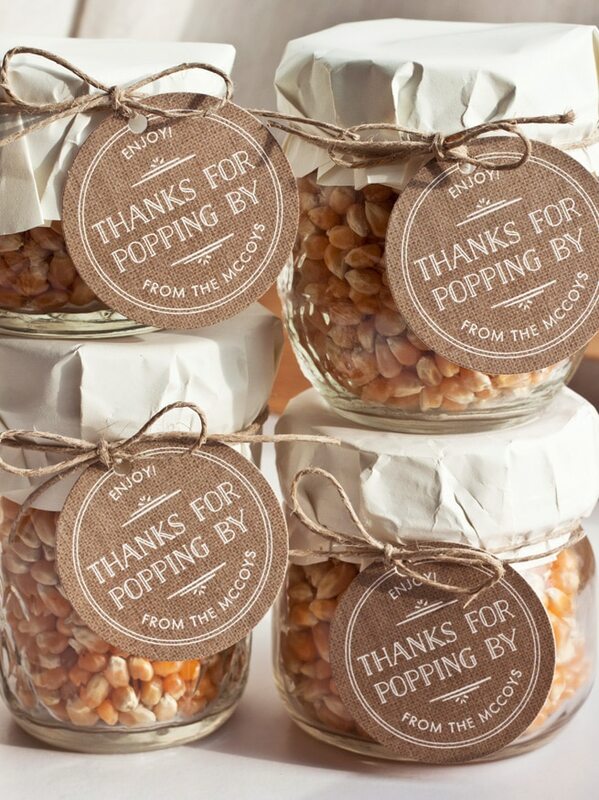 If you are doing the “ready to pop” theme, you can get them in either pink or the blue favor boxes, fill them with popcorn, and you’re done. 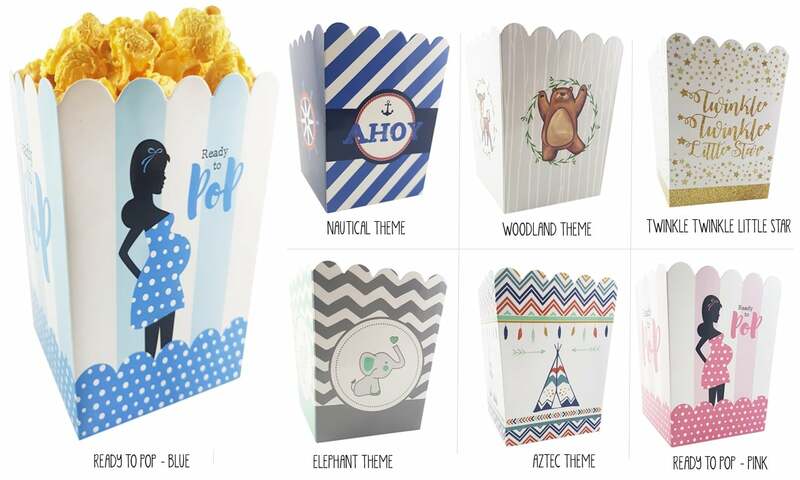 They are also available in the following themes: nautical, woodland, twinkle twinkle little star, elephant and aztec. 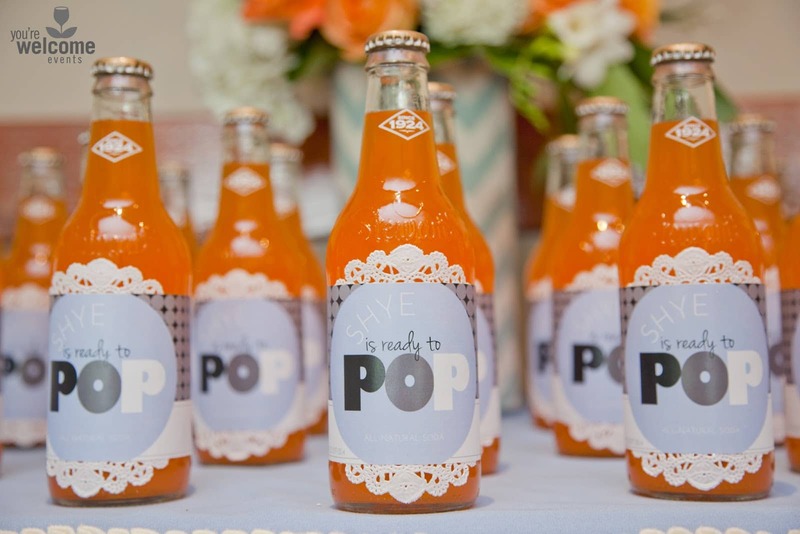 This is a great DIY baby shower favor – all you will need is soda in glass bottles or cans, and personalized labels. 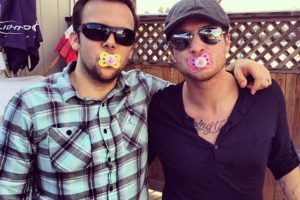 This is NOT a cheap baby shower favor! Even “cheap” sparkling wine is expensive when you buy it in bulk. You could bring the costs way down by buying the mini champagne bottles. to punch holes for the string. You could also get them professionally printed from Etsy. 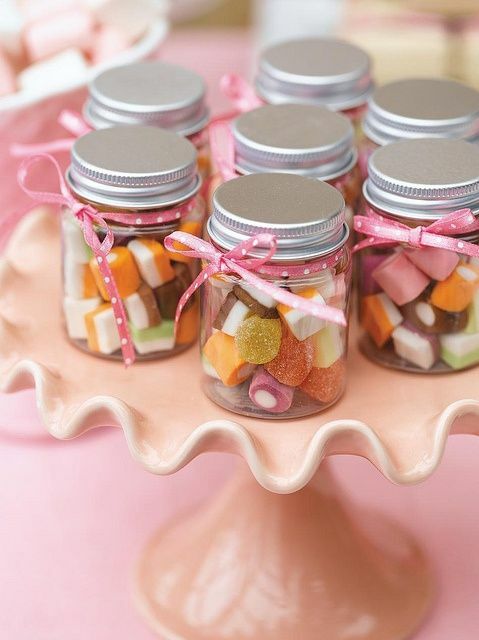 What can be sweeter than a baby shower candy favor, and this is is one of many DIY baby shower favors. There are a variety of ways to present it too – one prettier than the next. of your choice and a personalized sticker on the top. Having a baby sprinkle? 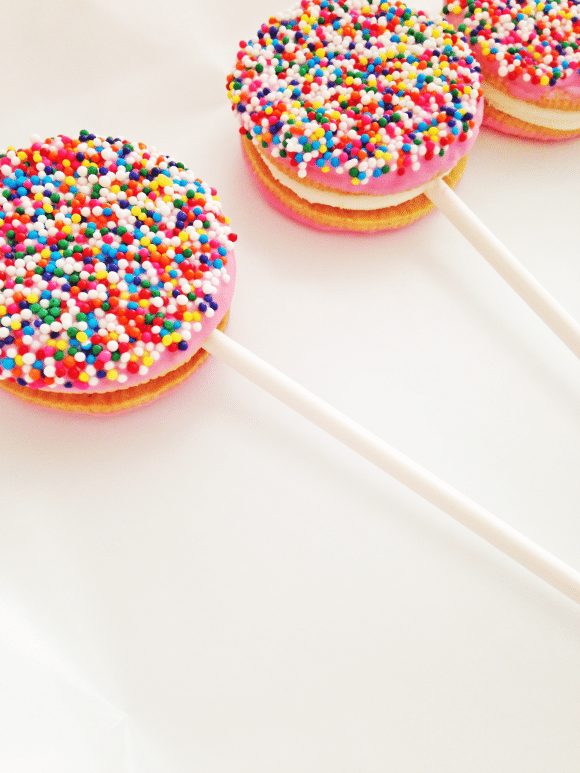 These “sprinkle” oreo pops will definitely fit the baby shower theme, plus they’re easy to make. Click here for the complete recipe. 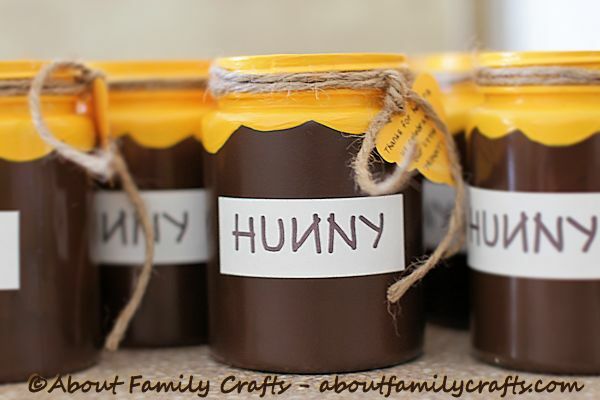 For a complete tutorial on how to create this honey “hunny” favor, check out this helpful post. Having a jungle or safari baby shower? 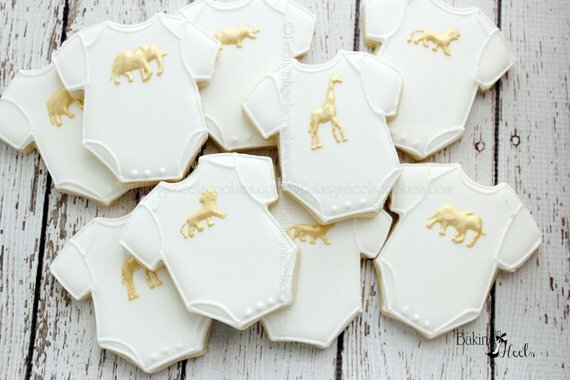 How about these onesie shaped baby shower cookies? These are available from Etsy. If you know your way around the kitchen, you could make them yourself with onesie cookie cutters. ,” by Karen Katz. This is a children’s picture book about adoption, and would, therefore, be quite appropriate for an adoption baby shower. However, it would also fit quite nicely with a Book Baby Shower. You could easily make these yourself or buy them from Etsy. These beer can coolers are custom made and available from Etsy. You may have heard of “bread in a bag” or “taco in a bag.” You can put whatever you want “in a bag” and offer it as a baby shower favor. Add your thank you tag and recipe instructions. How adorable! 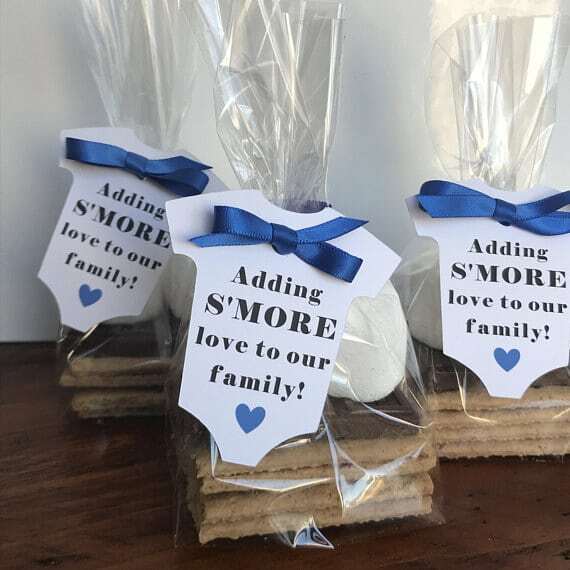 These s’mores favors are especially appropriate if this is your second or third baby, and you are having a baby sprinkle. They’re super easy to put together too, and you can get these custom made tags from Etsy. 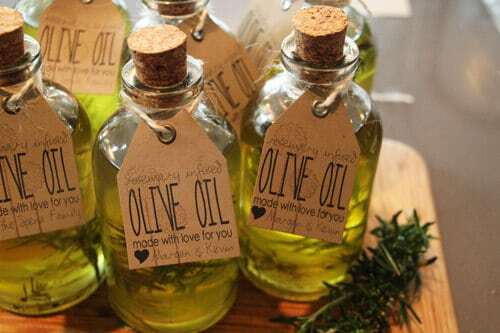 Herb-infused oils can be used in lots of different ways, and it’s certainly a very fancy favor. You could buy everything pre-made – like the image above, or you could totally do it yourself. Here’s a guide on how to infuse oils. 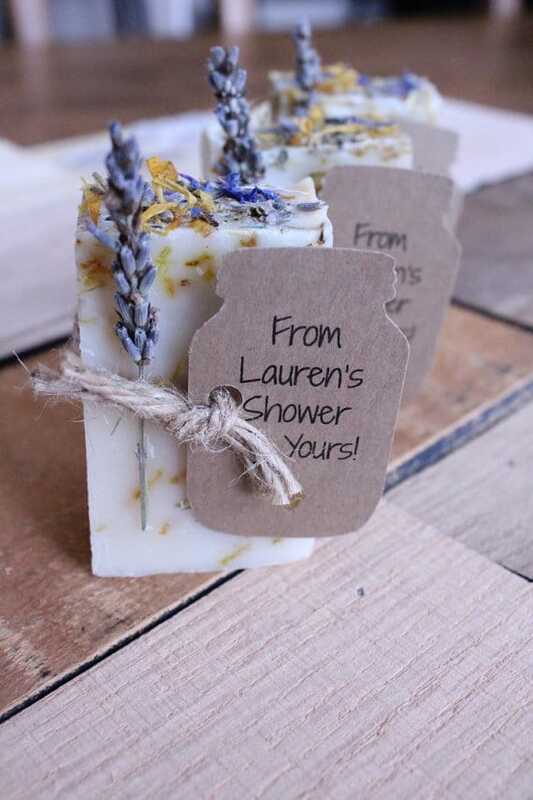 Who doesn’t love fancy soaps? 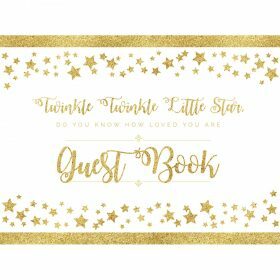 This is a baby shower favor that will be put to use, and certainly appreciated. 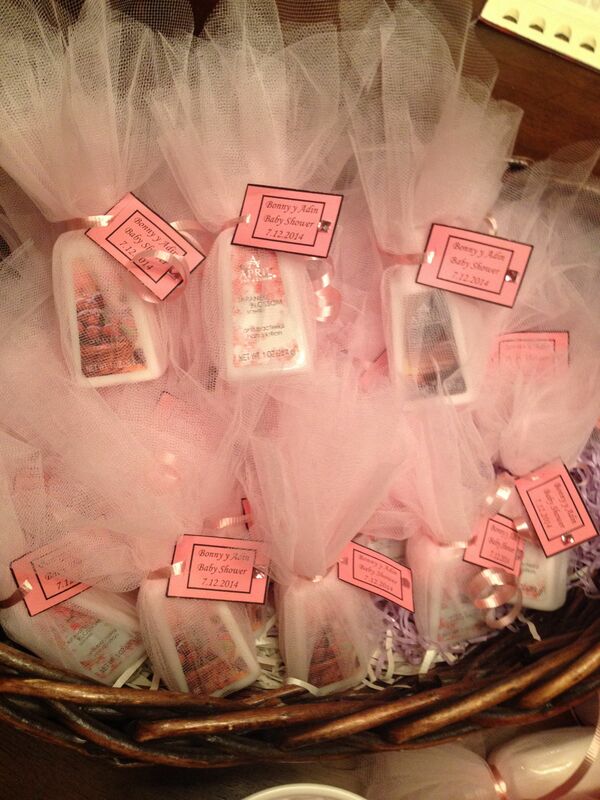 You could buy your soap favors with customized labels. 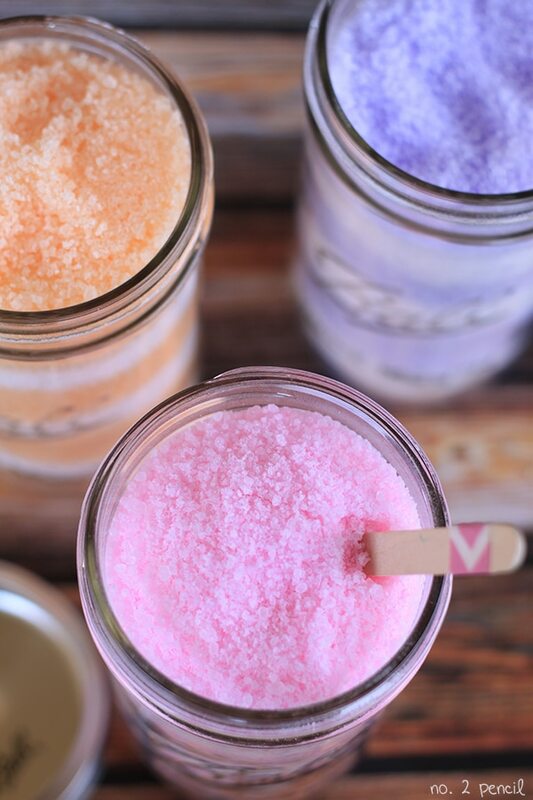 Homemade bath salt favors are easy to make. 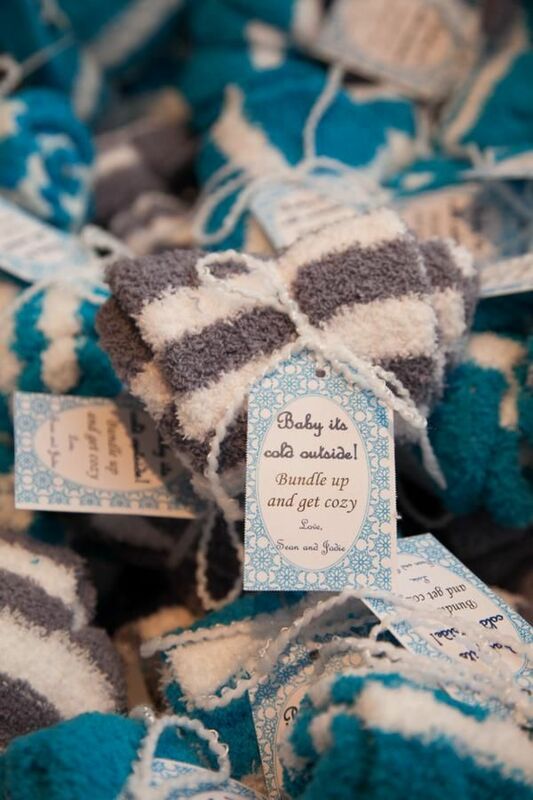 They’re really useful and they’re one of several cheap baby shower favors on our list. 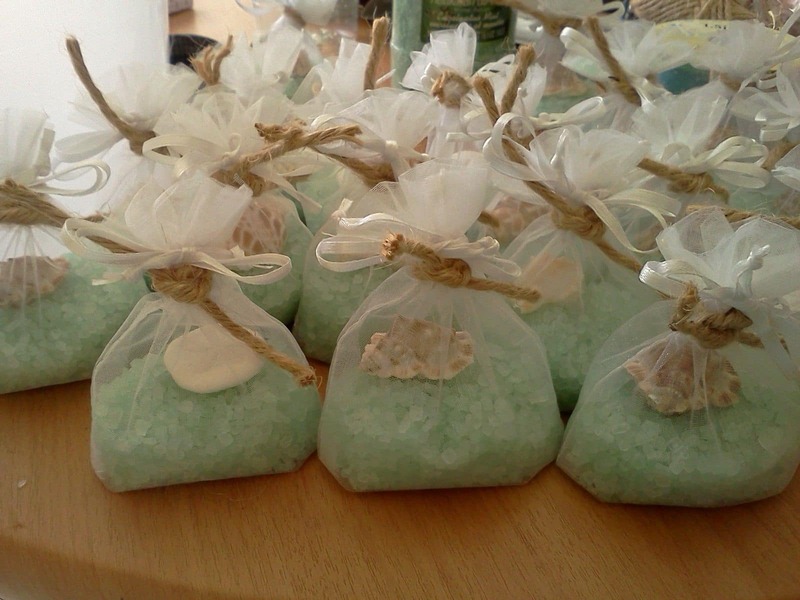 Bath salts are also one of those baby shower favor that people will actually use and appreciate because bath salts have so many benefits, like stress relief, it reduces muscle aches, offers headache relief, improves sleep, skin hydration and circulation in our bodies. to put it all in. For full and complete instructions, visit Number-2-Pencil.com. 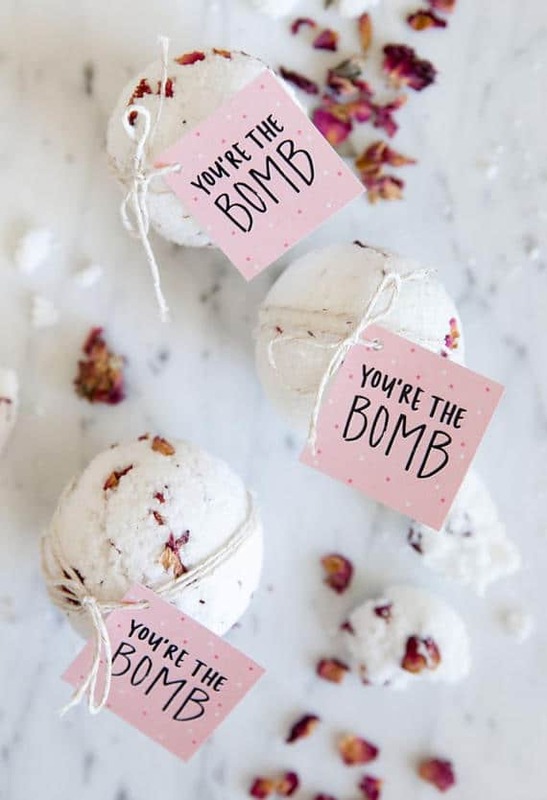 If you like the idea of creating bubble bath favors, you’ve got a lot of options. and add personalized labels to the bottles. 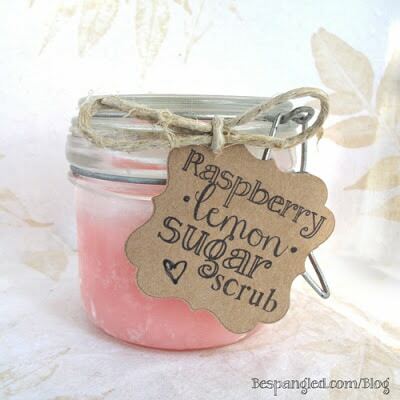 Like bath salts, sugar scrubs are easy to make as well. 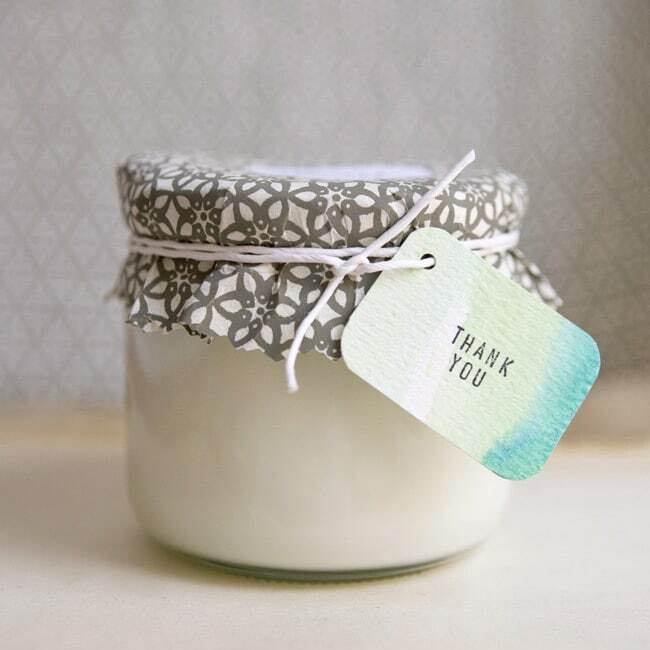 This baby shower favor would be appreciated because sugar scrubs can be used to help exfoliate your skin. a thank you tag, and you’re set. 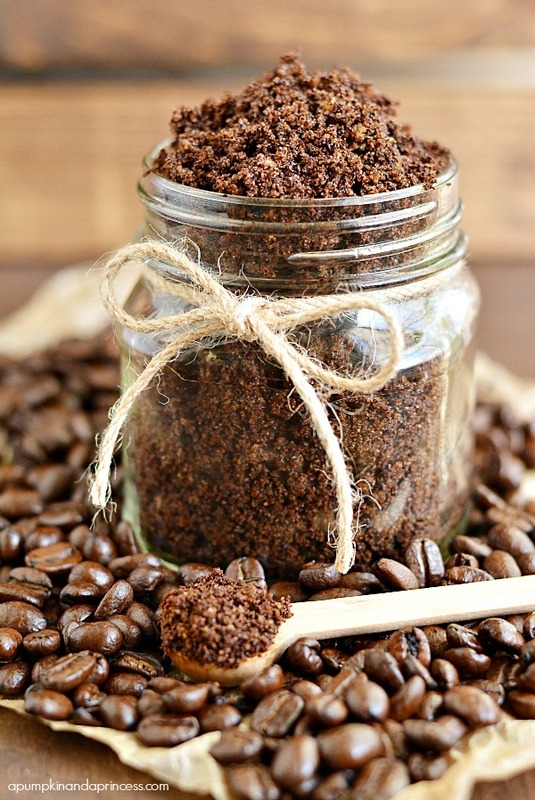 Click here for the coffee sugar scrub in the picture above, or click here for 21 sugar scrub recipes.
. You could also tie on a little thank you tag. If you like the idea but just cannot be bothered to do it yourself, get them custom made from Etsy. You could absolutely make these yourself if you are on a budget – here’s an easy recipe. If you couldn’t be bothered, you could buy them from Etsy (as shown above) or Amazon. 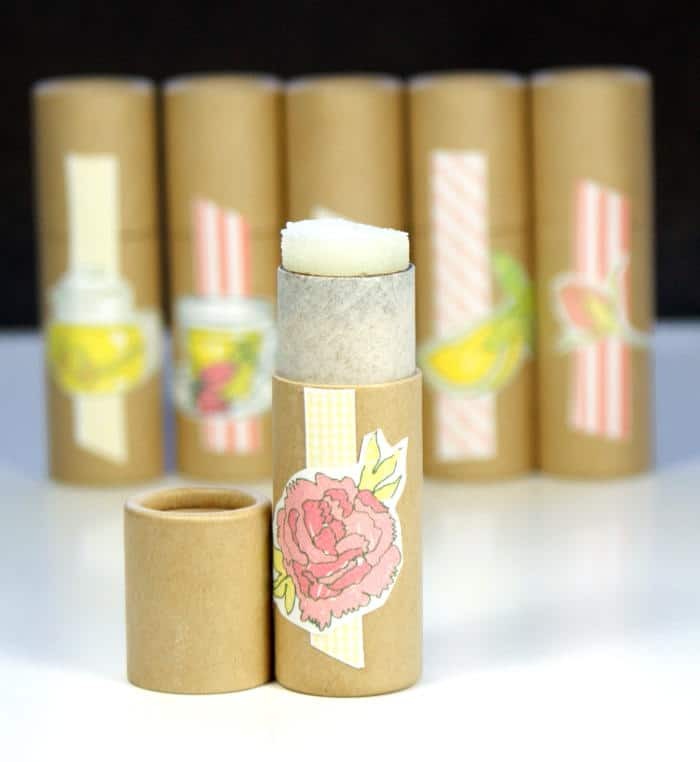 These lip balm favors are also known as “EOS favors” because of the lip balm brand. , and a customized template. are easy too, and available from Amazon or Etsy. will come in handy for most of us. 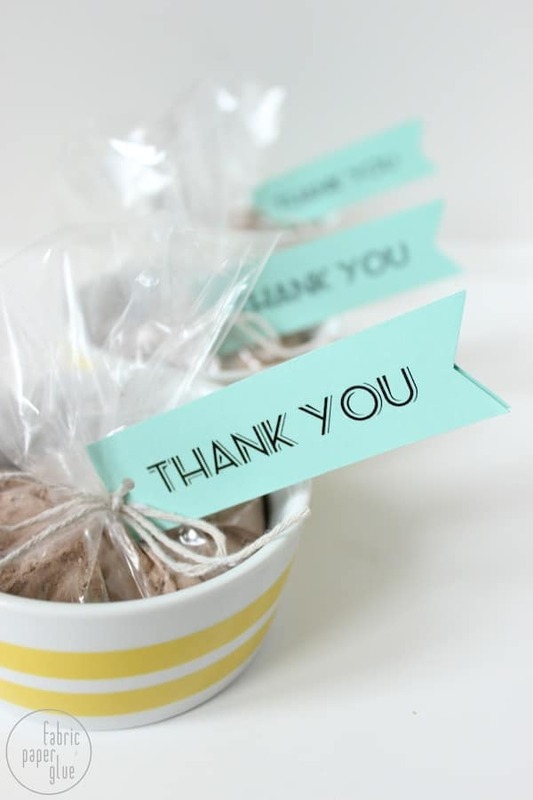 , ribbon and your little thank you tag. Easy beasy. 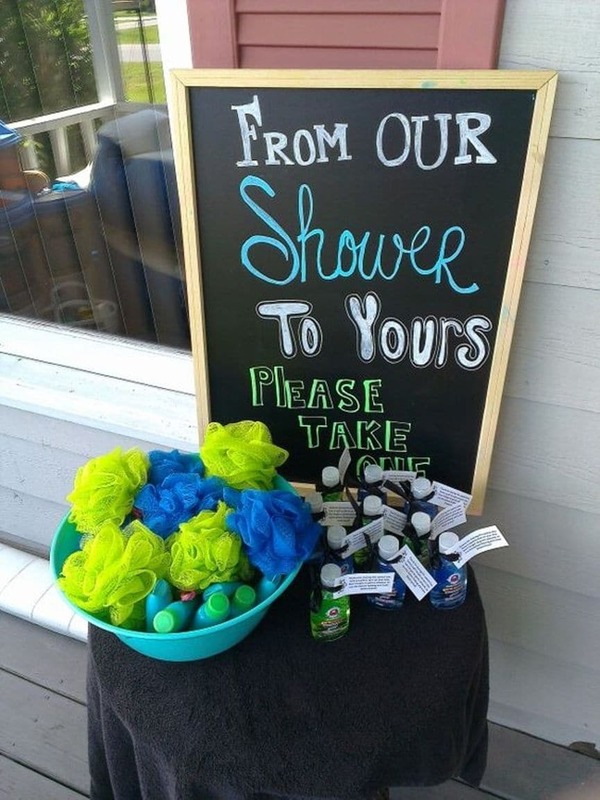 with a little thank you tag on it, and loofas. Click here for complete DIY instructions. to flicker, glow, and shine bright. make a little wish in my name. Thanks for coming to my mommy’s baby shower. of your choice to wrap it all up. 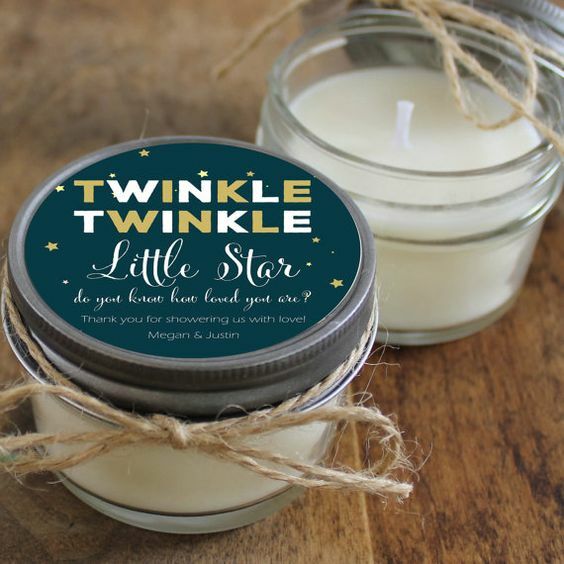 Or for a fancier look… these custom made candles are available from Etsy. Or make your own fancy candle. This is a DIY soy candle. Click here for the complete tutorial. 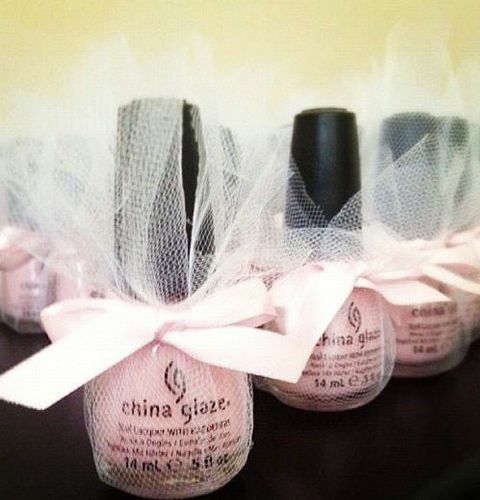 This is a really flexible baby shower favor. for as little as $9.95 for 100 (at the time of this writing). 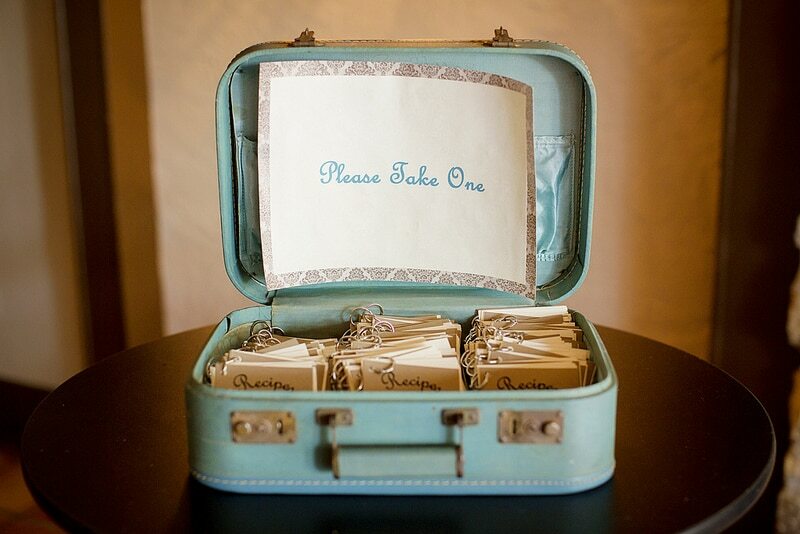 You could have tons of different designs and have your guests pick their favorite design. themselves (which you could get for as low as $2 each from Amazon (at the time of this writing), or you could also buy them from Walmart for $3-$4 each). You could use any containers you like. 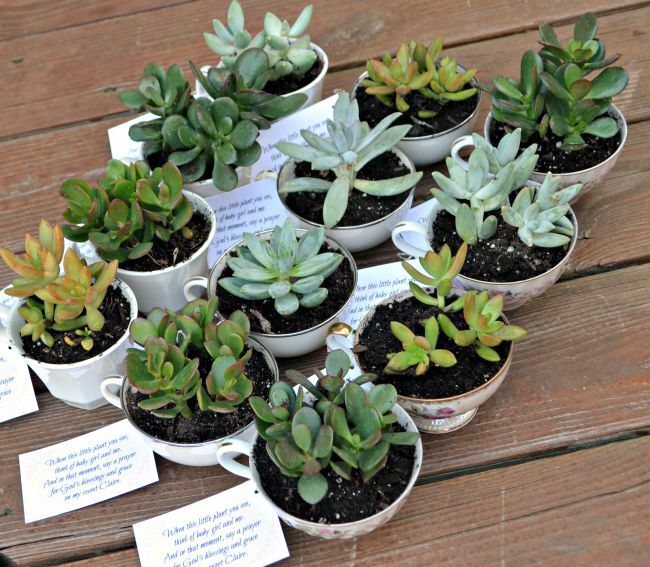 Amy from One Artsy Mama bought teacups from Goodwill to make her tea cup favors, but you could use mason jars or regular little plant pots. Potted herbs can be picked up from your local nursery or Walmart for under $5. 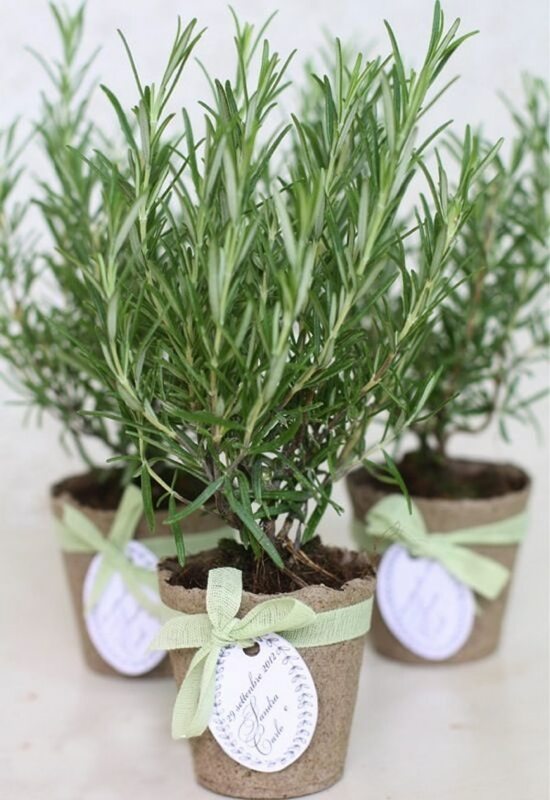 They are already potted, so all you may want to do is add a little ribbon and a tag to them. 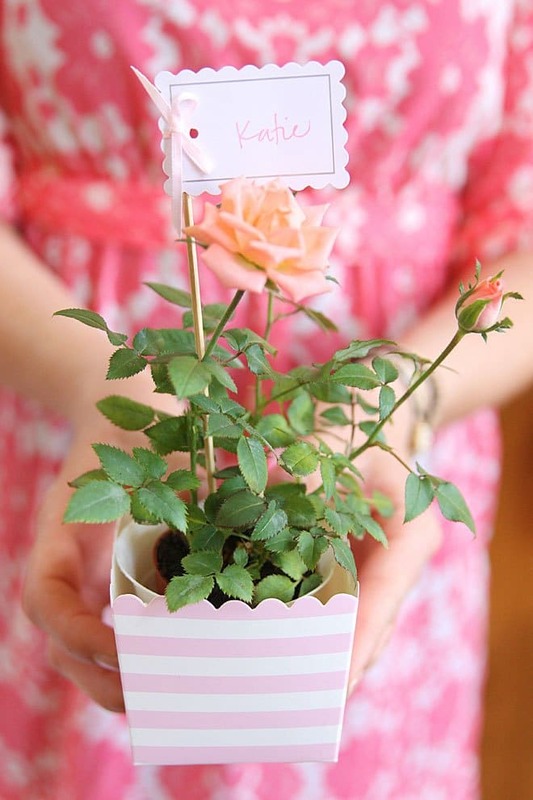 For flower favors, you could present potted roses like the image above, or fresh cut flowers in a vase. 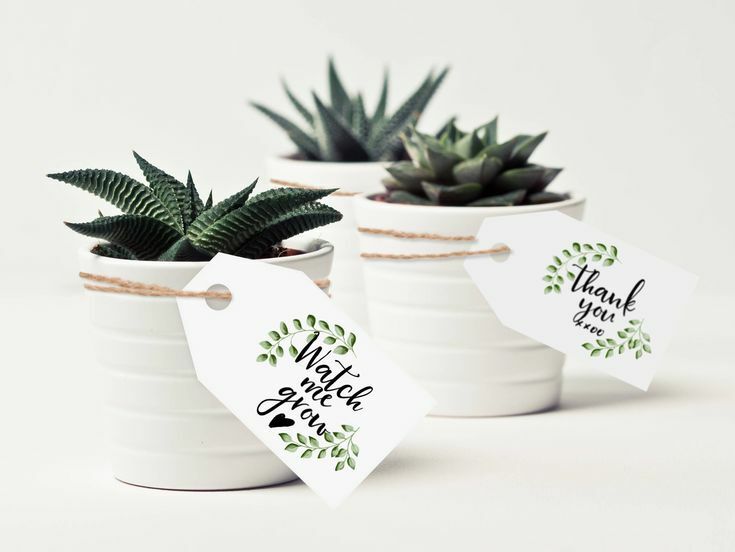 The great thing about these flower favors (or really any potted plant favors), is that they act nicely as table decorations as well. 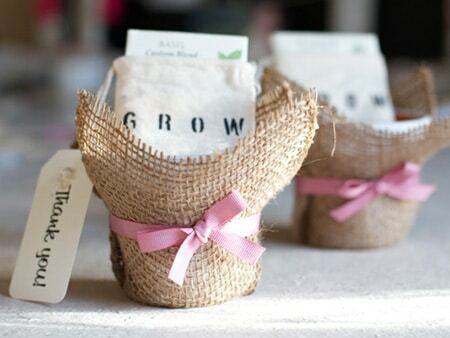 Seed packet favors are extremely common because it represents growth. Please visit Uproot Kitchen for full and complete instructions on how to set it up. Who does not love cookies? 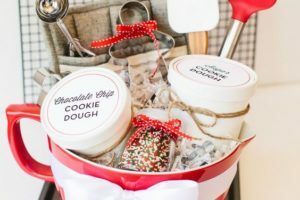 With cookie mix in a jar, you are offering a cute and useful baby shower favor, but also the ability for your guests to have fresh cookies, when they want it. 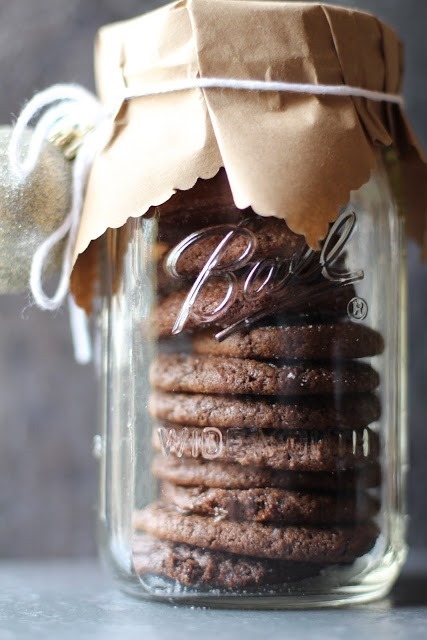 You could use any cookie recipe but as you pour the ingredients one by one, you do need to pack them down a bit, according to The Creative Junkie. to tie the recipe card. 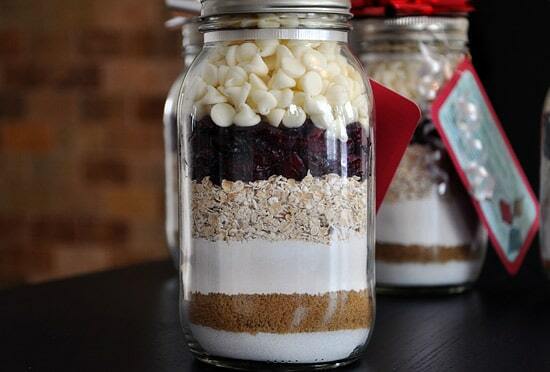 Find cookie mix in a jar recipes here. 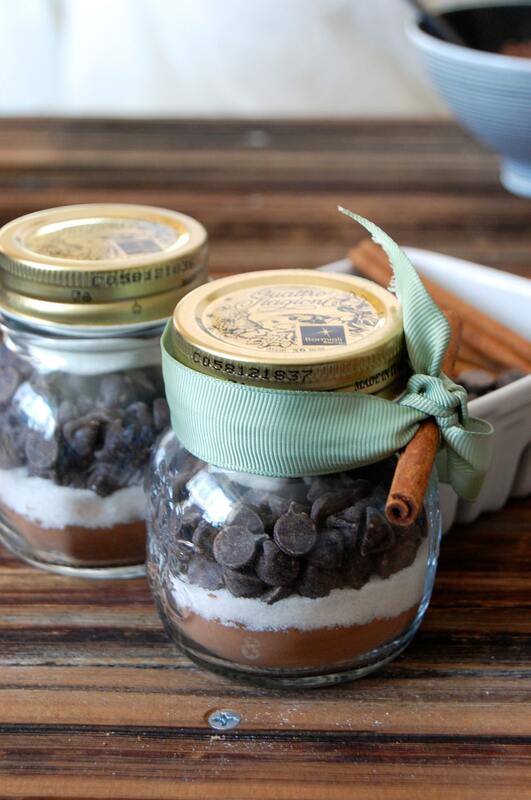 If you know your way around the kitchen, this would be a great baby shower favor idea. 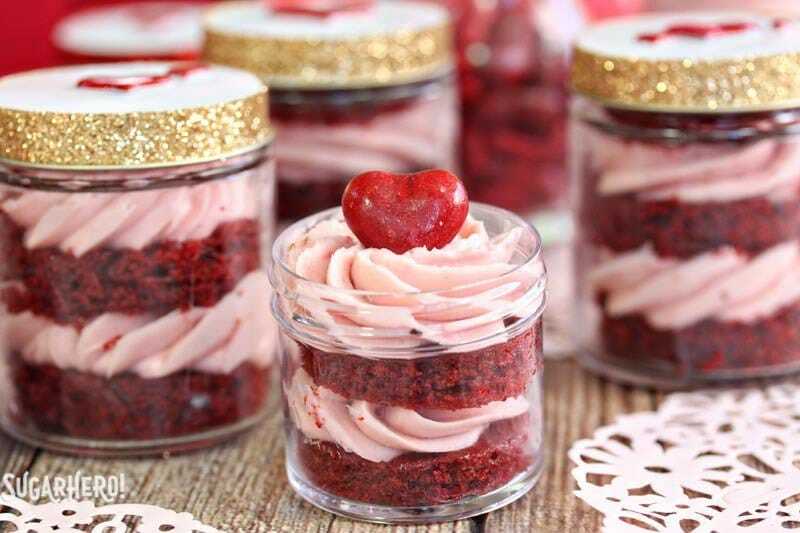 The image above is of red velvet cake but you could do any baked dessert that you think your guests would like. 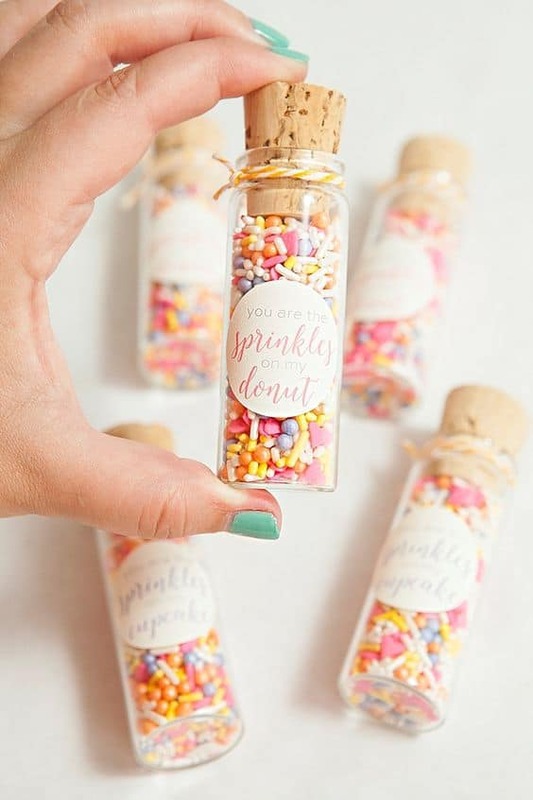 These sprinkles will fit quite nicely with a baby sprinkle shower. They’re easy to do too. 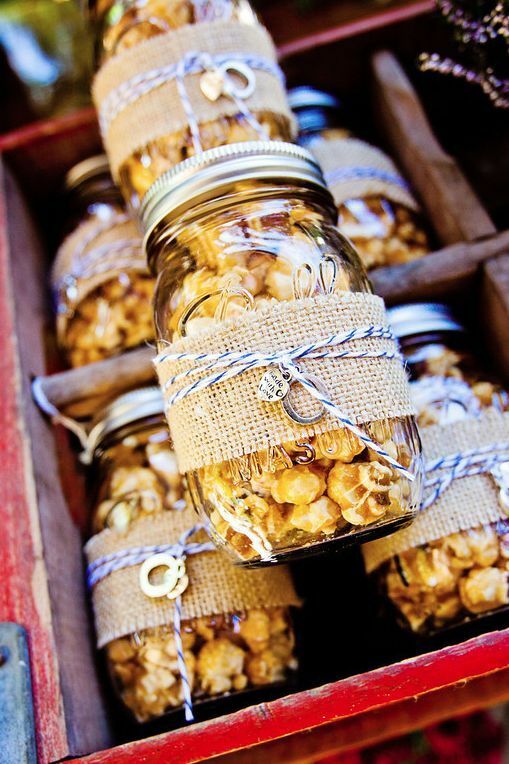 All you would need are your little jars with corks. The image above is of the Texas 2 Step Soup. 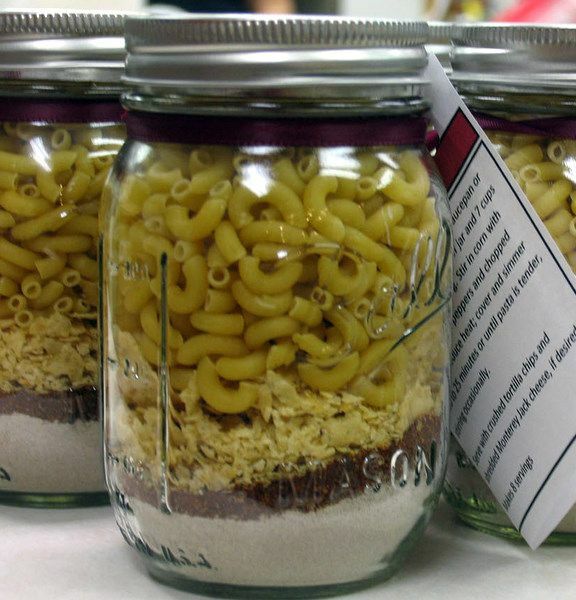 Soup in a jar is popular but you could include dry ingredients for any meal. You want to be sure that whatever you add to the jar is shelf stable. The gift recipients will then add the fresh ingredients to prepare the meal. For TONS of meals in a jar recipes, swing on over to Mom With A Prep. Personalized sticker or thank you tag to be tied to your mason jar. If your family has great recipes, you could put together a little mini recipe book. Here are several free recipe templates from Canva.
. Click here for the tutorial. 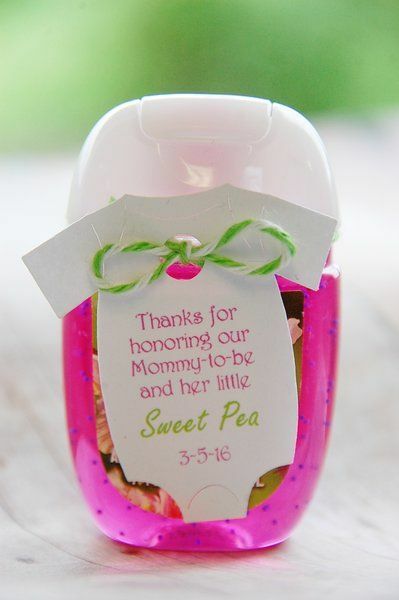 What a cute twist on a classic baby shower favor. 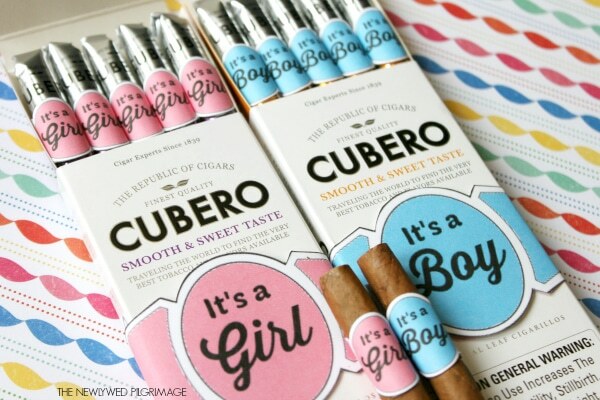 This cigar favor is especially appropriate if you are hosting a co-ed baby shower, where there are smokers. 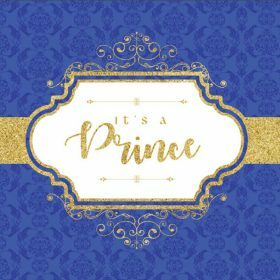 For complete instructions and free printables, click here. 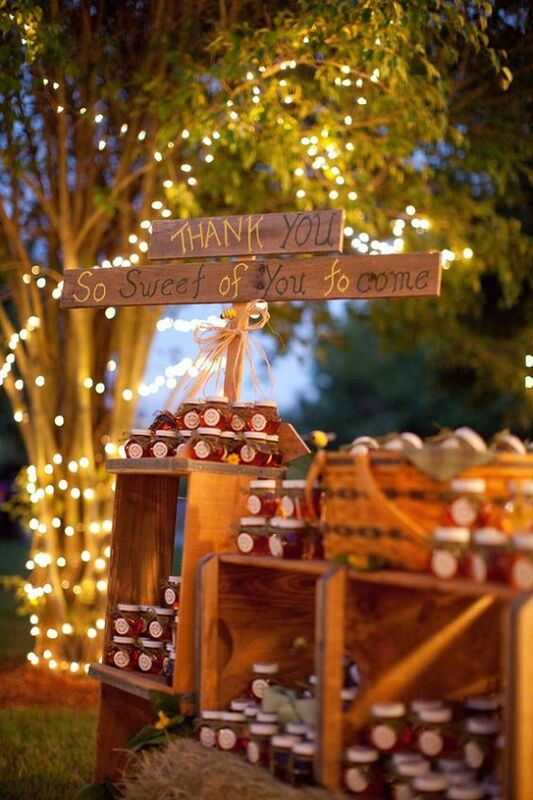 What a clever and cute way to surprise your guests! 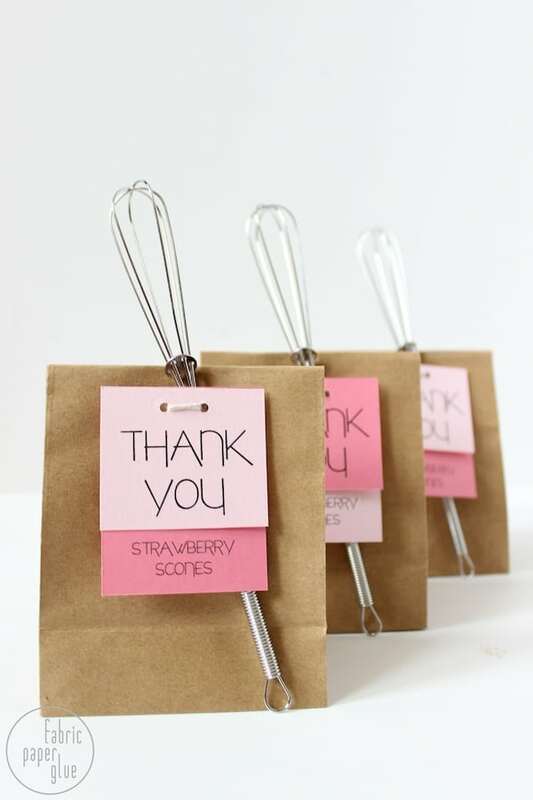 These paper favor bags are super easy to set up. 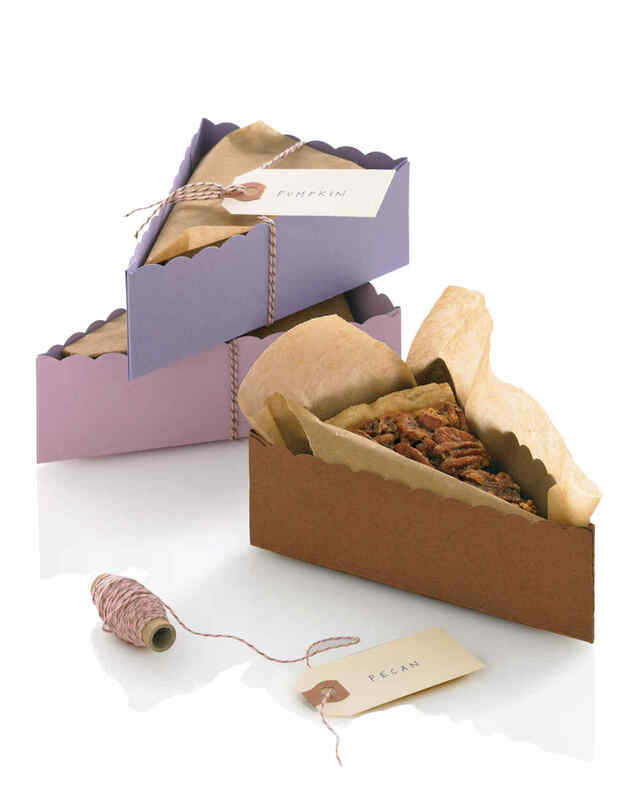 Whatever you plan to an inside the kraft paper bags. This could be candy, cookies, or whatever you like. If your surprise if a food item, you will want to put your surprise into the clear treat bags first, before you put them into the kraft bags because they may stain the paper bag. For complete instructions, swing on over to Lulu the Baker. 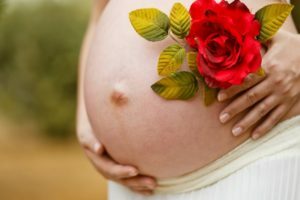 Thank you for taking the time to read this article about baby shower favors. I hope it has been extremely helpful, and that you find a ton of inspiration from it. 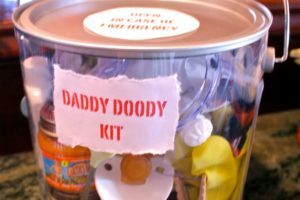 In putting this collection of baby shower party favors together, we were very careful. 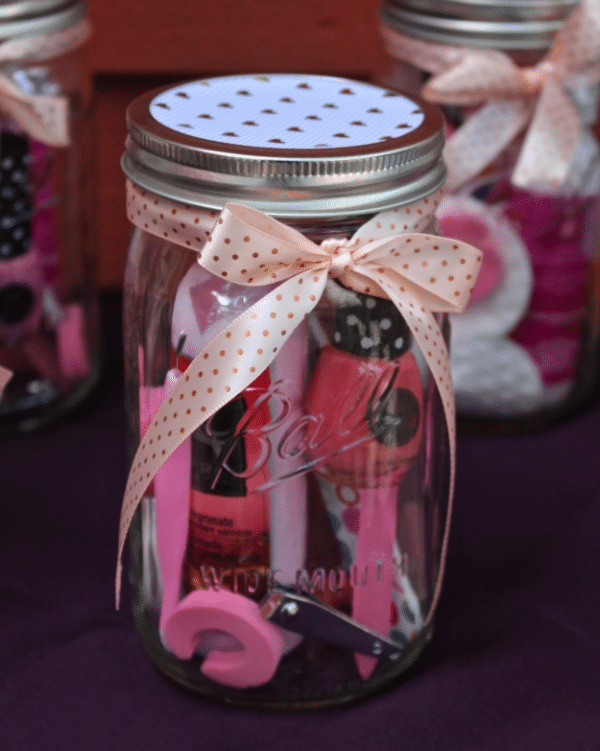 All the party favors can be adapted to fit either a baby girl, baby boy, or neutral baby shower. 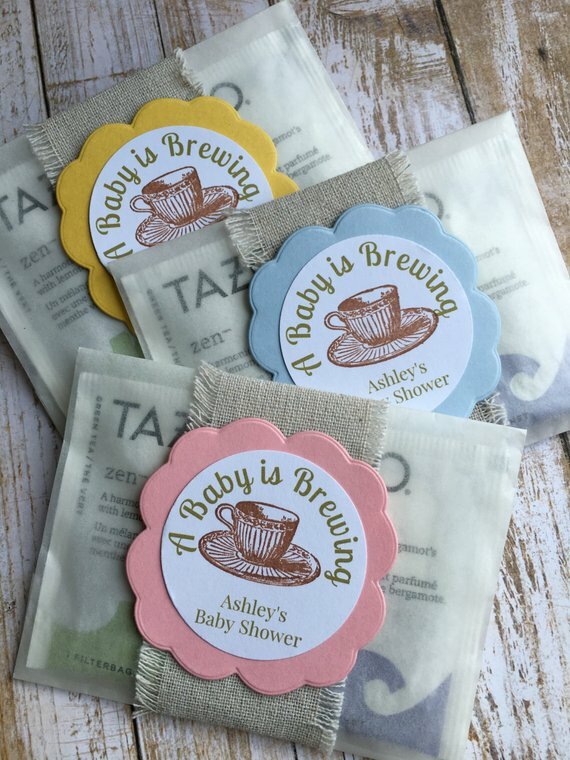 You will also have noticed that baby shower favors are all over the show when it comes to price points. 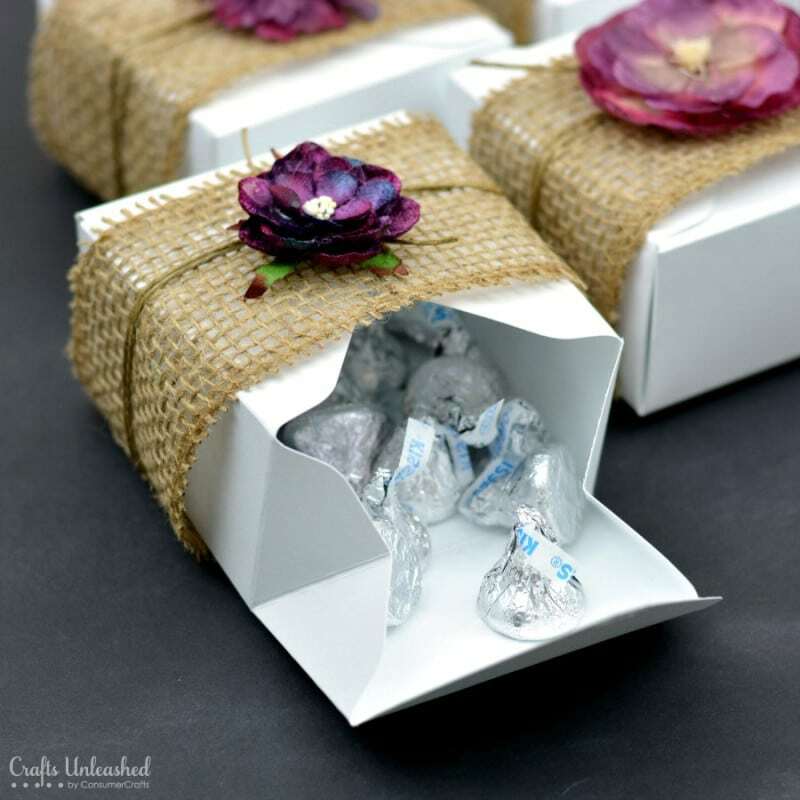 If you are on a budget, I want to assure you that you can absolutely have fabulous favors. 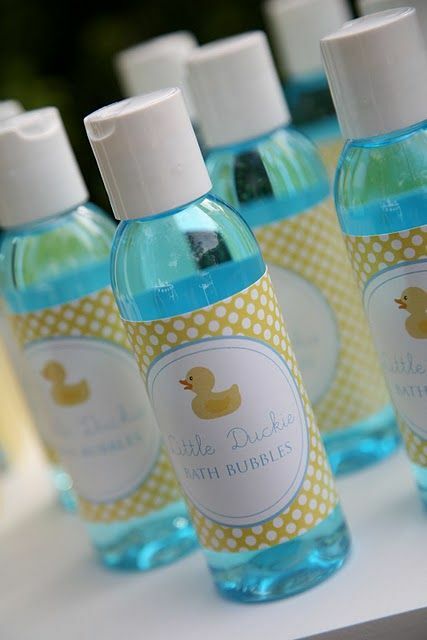 We have included several beautiful but cheap baby shower favors. Do not let your budget hold you back. Be creative. 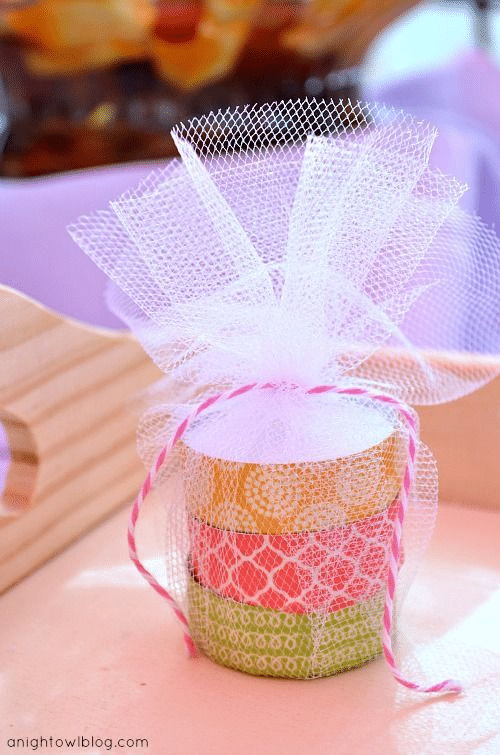 This collection includes several baby shower favors to make by yourself. If budget is not an issue for you, then you can certainly choose whatever you like from this collection. 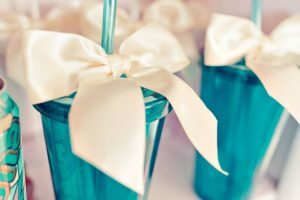 We were sure to accommodate you by offering helpful links to where you can buy custom-made baby shower favors.